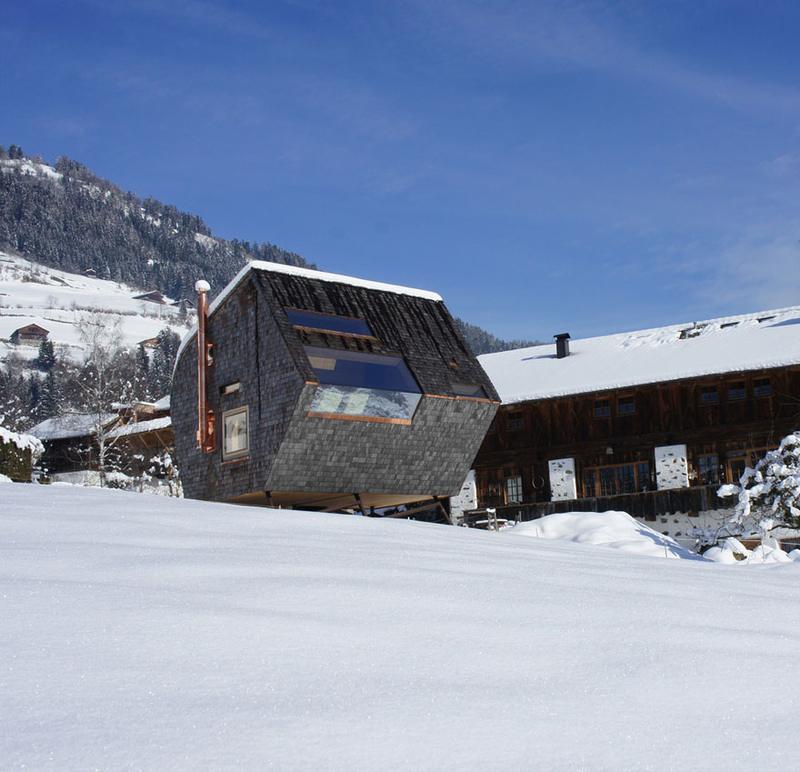 Jungmann & Aberjung's geometrical abode looks otherworldly in comparison to its location nestled in the serene, mountainous Austrian landscape. 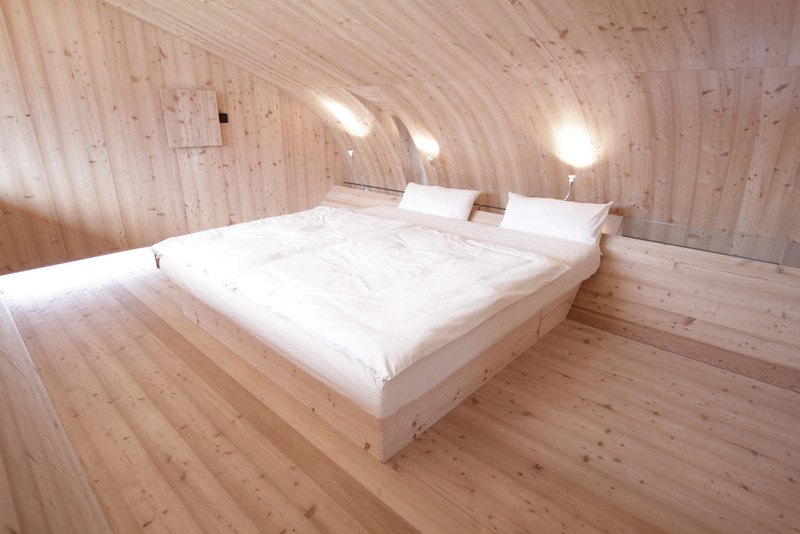 The Ufogel – which derives its name from its resemblance to a UFO and a vogel (meaning bird in German) is a cozy wood-shingled house perched on stilts in East Tyrol, Austria. The house is a blend of contemporary and minimalist design by architects Peter and Lukas Jungmann, of the Jungmann & Aberjung Design Agency. Their vision to create a multifunctional, sculptural home speaks to their artistry and boldness to push beyond typical architectural boundaries. Don’t let the sharp exterior frame detract from the house’s internal décor. The interior is almost completely made out of Larch wood and large, angled windows flood the house with natural light and allow for stunning views of the surrounding landscape. The continuous wood creates a rustic feel around the 485 square-foot home and is environmentally friendly as Larch wood is waterproof and rot-resistant. On the ground floor, one can locate a wood burning stove, working kitchen with stainless steel appliances, and a relatively spacious dining area with built in bench. 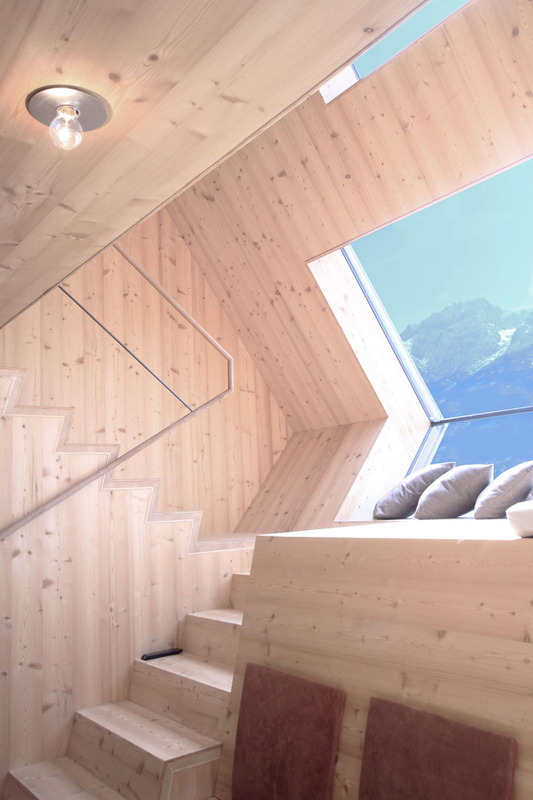 The angular staircase is slim which creates a flat nook between floors, where one can enjoy a book with a hot beverage and many pillows while gazing out upon the stunning views of the snow-capped Tyrolean Mountains. 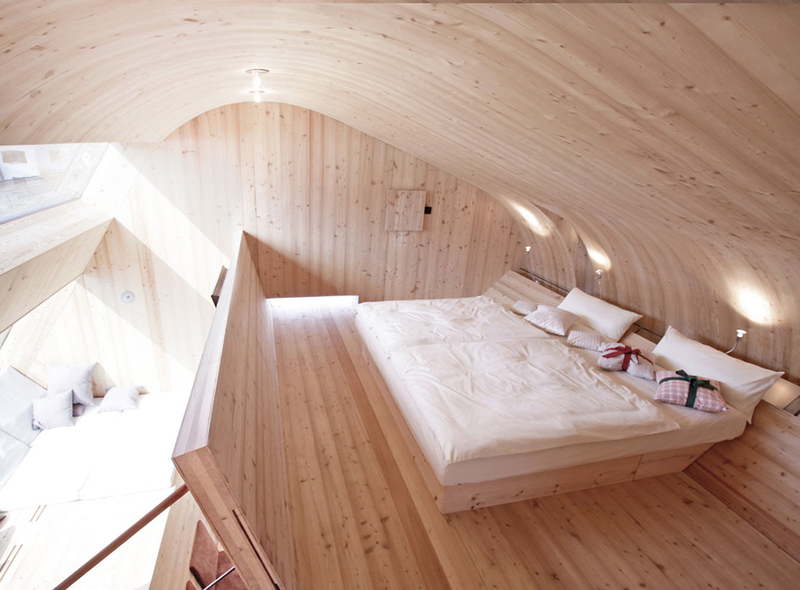 Ufogel’s top level consists of two bedrooms and a full size bathroom with rain shower head. The house comfortably fits up to four people and is available to rent for a relaxing holiday or fun skiing adventure.